So, maybe you already know that video marketing is worth your while, but if you’re a startup you want to explore your options. You want to know if the cost of a studio-created explainer video is worth the price tag. Huge spoiler alert… it is. If you are running a business, you can’t help but have a stubbornly biased view of your brand. Your idea of what’s important in terms of features and design aspects may be skewed due to your heavy investment (both financially and emotionally) in the company. A third party (the studio) begins a project with no biases surrounding your brand. They are separate from the company, and are able to provide you with a full outsider’s view of what story your brand should be telling, based on your industry and clientele. As an added bonus, they can provide you with feedback and insight into other business aspects such as your target audience, and contribute creative ideas that your team may have yet to think of. A large number of quote requests we receive ask about creating a 2-5 minute video. The client “knows” that they won’t be able to compress their brand’s vital information into a 60 second video. Time and time again, we prove that theory to be false. This quote applies directly to your brand messaging and promotion efforts. 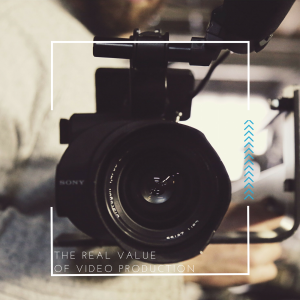 Creating simplicity from a complex business structure or product is extremely difficult, which is why a video production studio that specializes in simplification will be your new best friend. The production studio will craft a script using only key, relevant (and unbiased… remember?) promotable points about your business. Additionally, they can develop related visuals to ensure the audience is fed only this information in an entertaining and memorable way. Sounds like a lot of work, right? It takes over 100 hours and a group of talented creative minds to create a 60 second animated video. From illustrators to motion designers and other creative team members, it practically takes a small village help craft your explainer video. With a production studio, you have access to a network of talent that has taken years to assemble and perfect. They make several production decisions to help create the best video to match your brand personality. For example, they know which graphic designer to assign to your project, depending on your preferred style of animation. They know which voiceover talents are reliable and appeal to your target audience. They track down the perfect background audio track to add the proper emotional perception to your video. Who even knew that had an impact? Every small, yet imperative element of your video is carefully created to provide you with the ultimate customized video that will have your leads converting like crazy, and your customers coming back for more.